Ferdi thinks he's ugly – but likes the fact Jona is interested in him. Maybe because she's blind. What Ferdi doesn't suspect: She's just pretending to be blind to be able to live cheaply in subsidized housing. How long can she maintain her charade? Can love, which is supposed to make you blind, even work out that way? 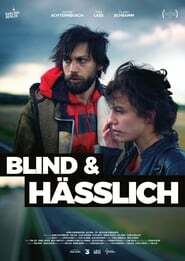 Director Tom Lass takes a closer look, shooting with blind actors and old Berlin buddies, acting the lead himself – paying tribute to a way of life beyond our way of seeing the world.